How to Sail, learn to sail with free online sailing lessons! 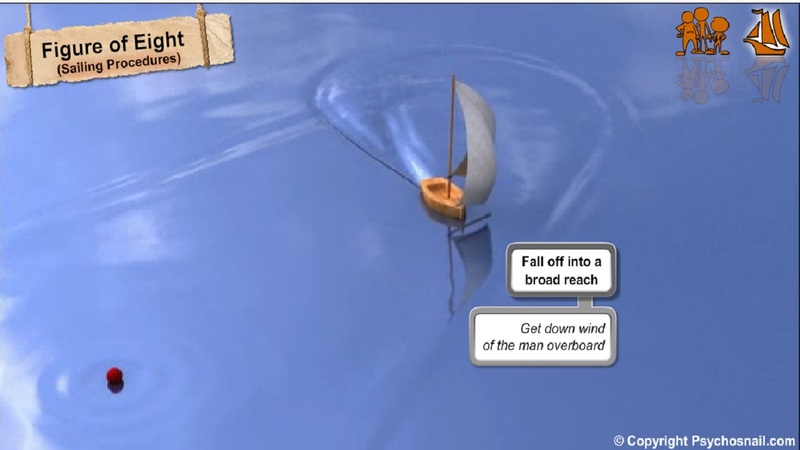 This module is to assist anyone who is learning how to sail. 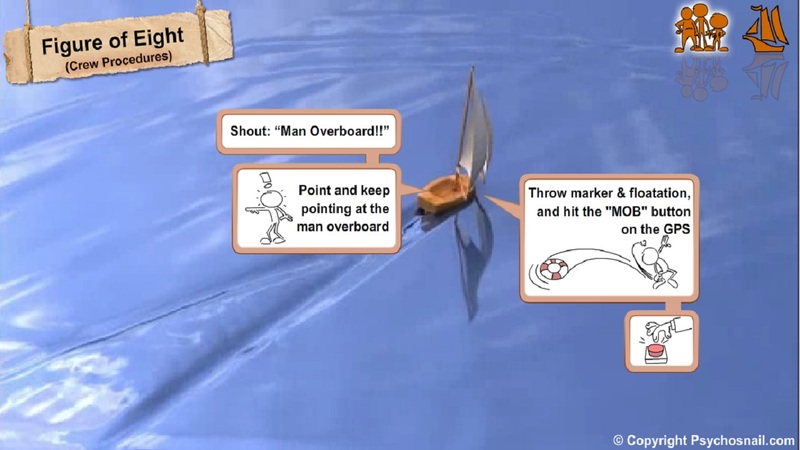 These will give you a good start on keelboat sailing certification or basic sailing theory on how to sail a boat, for a keelboat, catamaran or monohull. Bear in mind that theory can only take you so far, practical on the water experience is essential. 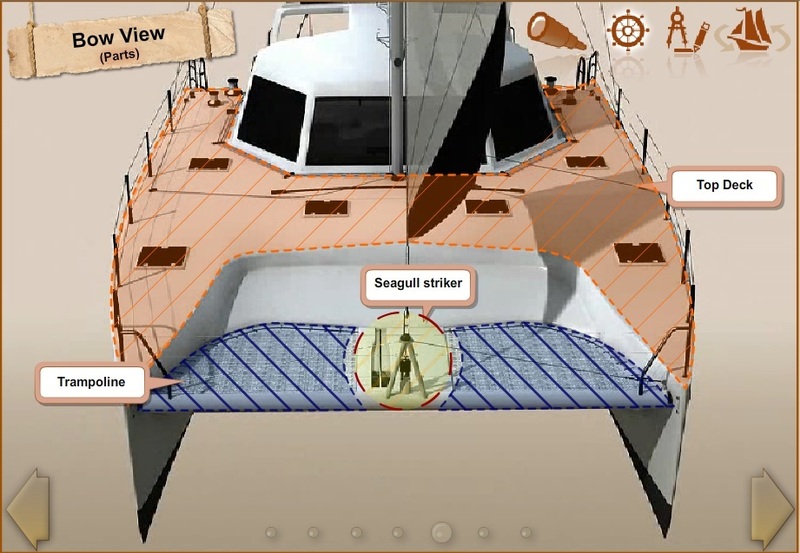 The animations and general theory will assist you in learning safety procedures, refreshing on nomenclature, and getting a grasp on basic concepts on how to sail a yacht. Do I need to be certified to sail? Confidence in your ability and a structured approach to learning. Discounts on boat insurance if you own a boat. If you don’t own a boat and want to charter, most charter companies require proof of ability. Bareboat - This is a good certification to have if you wish to charter without the expense of a captain. Why so much jargon?!! One difficulty for anyone learning to sail a boat is the obscene amount of jargon, there seems to be a salty name for everything, even a toilet isn’t a toilet anymore. Why do I have to learn all of this nonsense just o sail a boat you might ask? The simple answer is for communication, sailing a boat of any reasonable size takes a crew i.e. more than one person. When working in a team you need to be able to communicate effectively most especially in an emergency situation. The captain should be able to shout out commands and the crew should be able to understand and respond immediately, without further explanation. 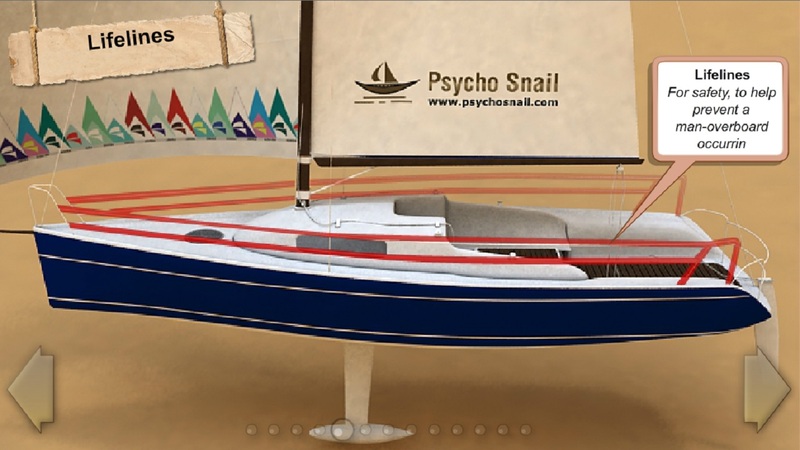 Please let me know if you have any feedback on these online sailing lessons.